Good tidings people, you can welcome in the working week with FREE ice cream! To mark the DVD release of Wonder Woman, Warner Bros has teamed up with the fabulous Chin Chin Labs in Soho to offer 100 lucky people FREE Diana Prince inspired sundaes. 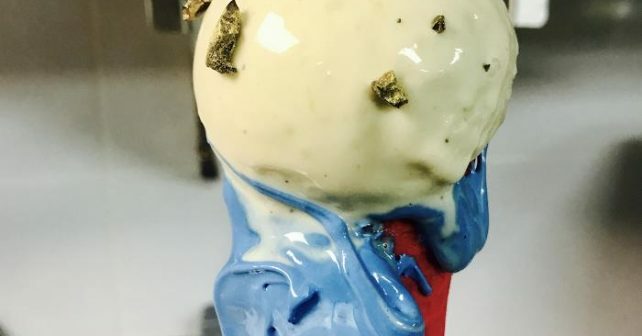 We’re talking a red waffle cone, blue marshmallow plus ice cream topped off with gold candy. But – and here’s the bit we’re properly excited about – they’re also throwing in a FREE Wonder Woman tiara!